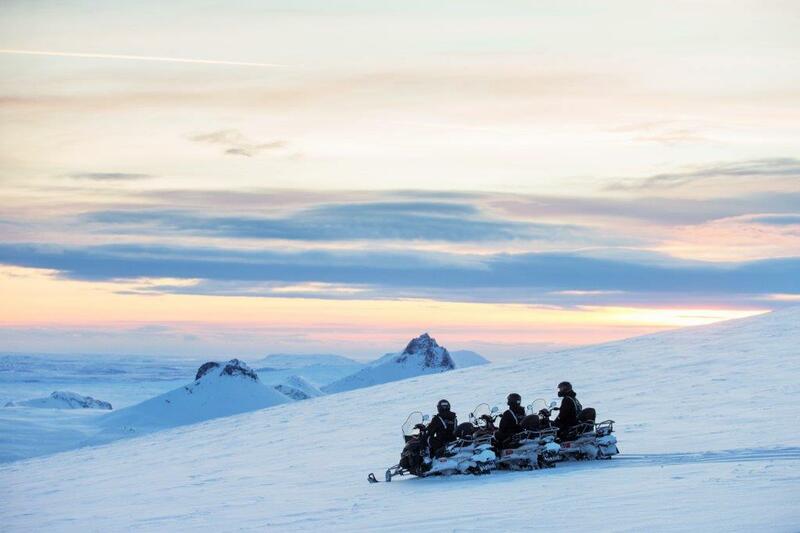 Take your glacier exploration to a whole new level with a snowmobile tour on top of Langjökull glacier and a guided tour into the famous man made Ice Cave. 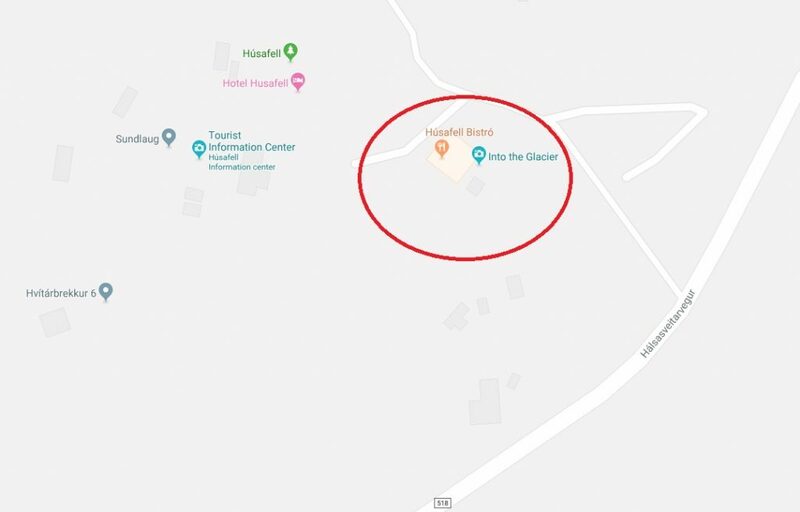 If you are driving your own car to meet us at base camp be sure to take into account that the meeting point is about two to three hours away from Reykjavík. If you booked the bus transfer from Húsafell please note the following information. If you’re traveling in West Iceland, we highly recommend an unforgettable glacier experience. If you are driving your own car, you can meet us at base camp, but if you’re in Reykjavík, you can opt in for transfer from the capital and to the glacier. 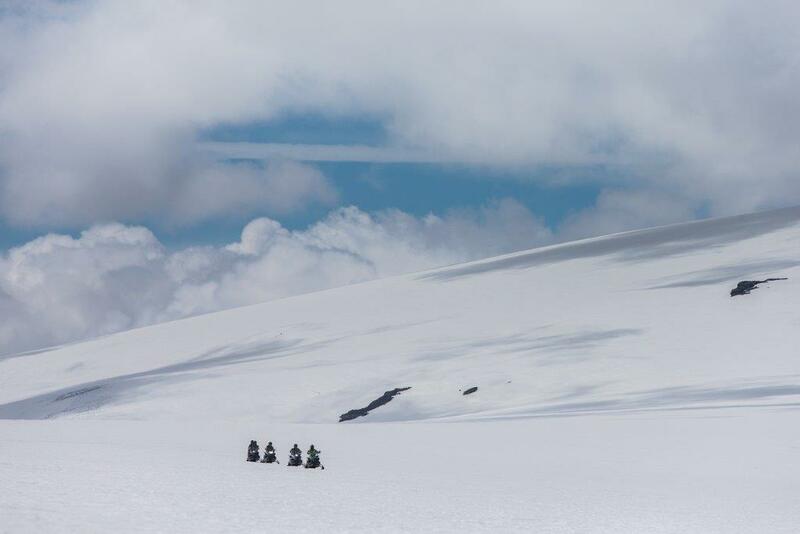 At our base camp at Langjökull Glacier, we gear up for the snowmobile tour before we head off on the vast snowfield. 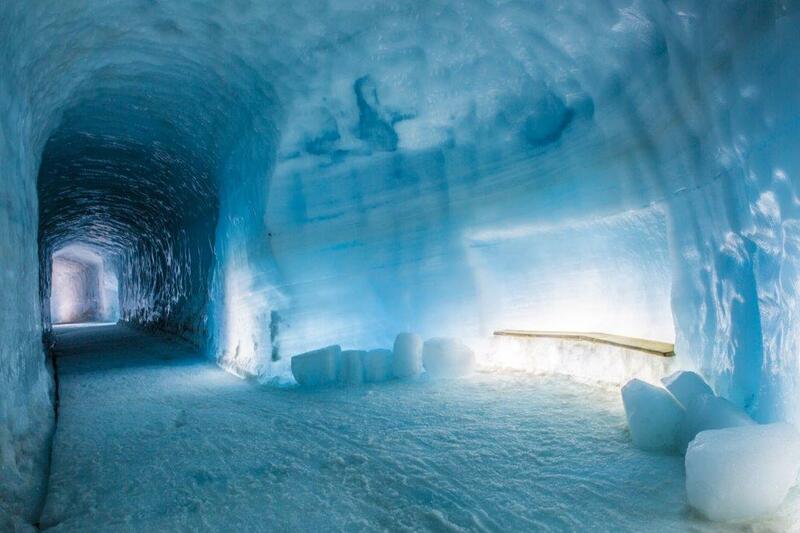 Through an incredible landscape, we make our way to the man-made ice cave situated high on the glacier where you will enjoy a guided tour 200 meters into the glacier at 40 meters under. 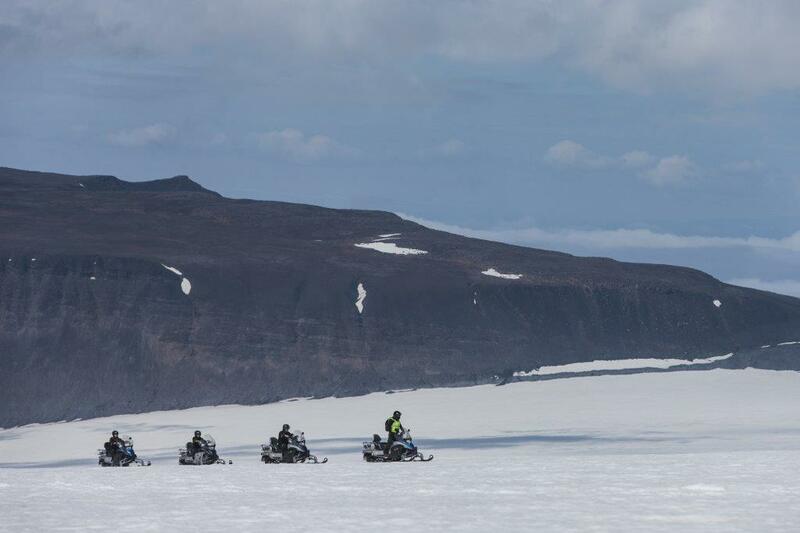 We finish the tour by driving back on our snowmobiles to Jaki Base Camp, giving us another chance to feast our eyes on the Icelandic highlands. I loved the thrill of the snowmobiles as well as the incredible beauty of the ice tunnel. Great price of this tour considering what you are getting. I could not believe this was so cheap when geting a snowmobile tour & see inside to the beutiful ice cave in langjokul glacier. 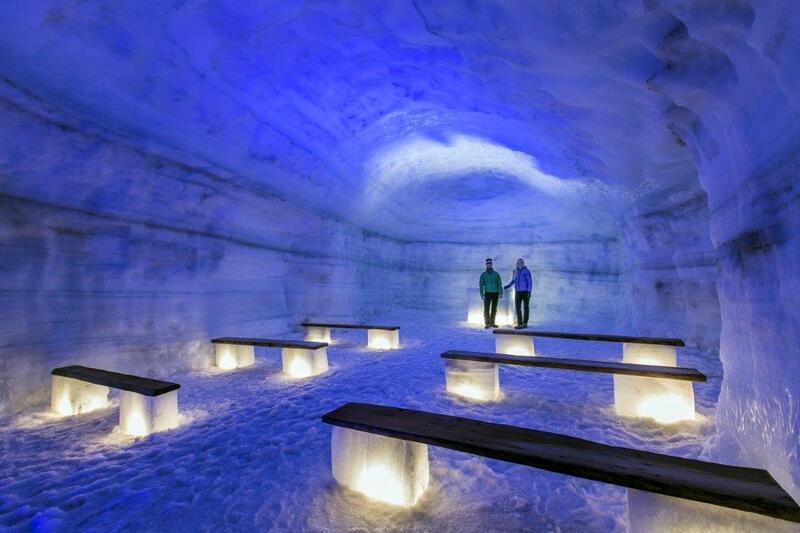 I did a research and find snowmobile tour cost EUR 210 and ice cave cost EUR 160. Together this cost EUR 240 in this combo tour. Really great tour my favorite day in Iceland.